In June 2015, when it was announced Dwayne “The Rock” Johnson was going to star in a movie adaption of the classic video game series, Rampage, I was thrilled to say the least. Why wouldn’t I be? After all, who doesn’t want to watch The Rock go face to face with giant monsters? I would argue only those who don’t like to see things that are visually pleasing. To give you a little insight on Rampage’s source material, it is basically an arcade game where the player gets to control a giant monster to destroy cities, all the while avoiding military forces. 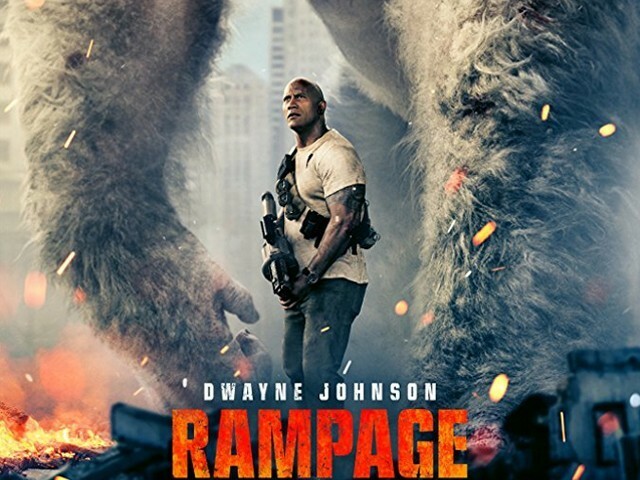 Rampage, the movie, revolves around Davis Okoye (Johnson), a former US military soldier, member of an anti-poaching unit and a primatologist who now works at the San Diego wildlife preserve. Davis has a strong bond with a rare albino gorilla named George, whom he rescued from poachers. Things go sour when multiple debris crash in the city of Chicago and George, along with a wolf and a crocodile, is exposed to a pathogen which mutates these animals and causes them to grow considerably, while also increasing their strength, agility and endurance. It was a general perception the movie would be more of a King Kong vs Godzilla kind of an affair, but Rampage has a lighter tone altogether, which suits the source material and plays in the film’s favour. The featured monsters are impressive, but I wish they had designed them to be less glamorous and more frightening and scary. The Rock is supported by an incredible cast comprising of Naomie Harris (Skyfall, Moonlight), Jeffrey Dean Morgan (The Walking Dead), Malin Akerman (Watchmen), Jake Lacy (The Office) and Joe Manganiello (True Blood, Magic Mike). The cast is talented enough to do a decent job with the characters, no matter how underdeveloped they are. The Rock is at his usual best, with his charismatic presence lifting the movie up whenever the plot seemed to show signs of withering. Morgan is also charming, with his cowboy-ish dialogue delivery and spot on facial expressions. The scenes where his character, Harvey Russel, interacts with Davis are a particular treat to watch. Akerman as the antagonist is perhaps the weakest link amongst the cast members. The actress tries way too hard to come off as evil, but ends up seeming like a plastic stock character no one really cares about. 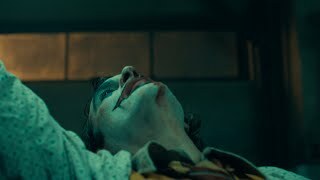 Lacy tries to be humorous, but is unsuccessful most of the time – perhaps because most of his scenes are with Akerman, whose cringeworthy performance just makes you want to skip to the next scene. 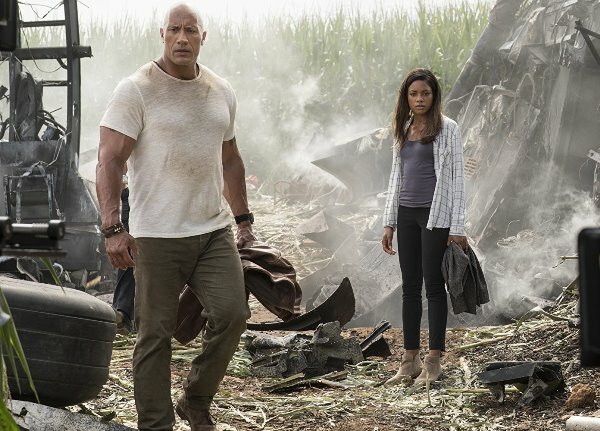 The director, Brad Peyton, has worked with The Rock twice before, in Journey 2: The Mysterious Island and San Andreas, and thus knows what the audience expects from the actor. Although his movies often lack a decent plot and interesting characters, all the negatives are cancelled out by the larger than life portrayal of The Rock. Peyton knows the audience enjoys watching The Rock in his element, blowing stuff up and killing bad guys, and he does that exactly, even though it seems repetitive at times. Rampage is a tent pole movie which never promised to break new grounds of cinema. 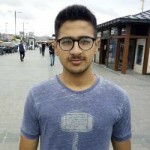 It is exactly what it set out to be – a popcorn flick with some humour, loads of action, ample destruction and decent enough visuals (although the visuals may seem like a video game in some scenes). The action scenes in the movie are quite good, and watching The Rock going up against huge monsters is something the audience definitely will not tire of. It is true that most of The Rock’s movies seem to be made on the same basic formula, but I am not complaining, as long as these movies are entertaining and fun to watch. Rampage may be illogical, bizarre and outlandish, but it is an entertaining affair you will certainly enjoy with a group of friends. The Rock is global icon, and filmmakers know how to use his tough guy image to earn the big bucks (the movie has opened to a $148 million globally). 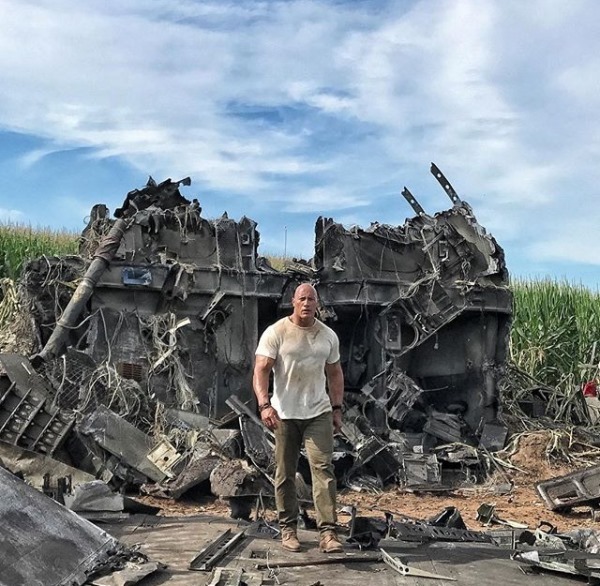 And even though I know Dwyane Johnson’s upcoming summer flick, Skyscraper, will be more or less similar to Rampage and all his previous movies, fans and cinemagoers like myself will definitely flock to theatres once again to watch Johnson do his thing on the big screen.